I’m coming up in the world ya’ll! 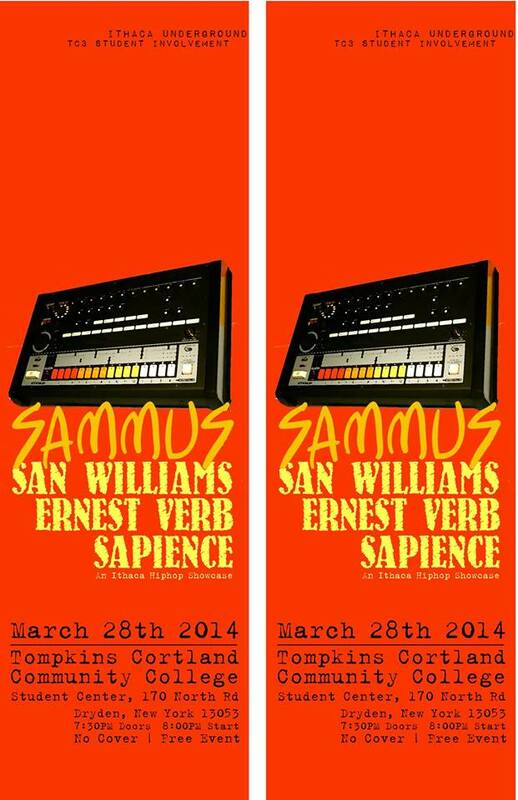 I’ll be headlining an Ithaca Underground sponsored rap show on March 28th at the TC3 Student Center [170 North Road, Dryden NY] with some of my favorite local artists: San Williams, Ernest Verb, and Sapience (kind of wish Ernest Verb’s name started with an S lol). Show starts at 8:00 and it’s TOTALLY FREE, so I better see you there. RSVP HERE on facebook and I’ll see you there!